Welcome to the home of KO Cheer. 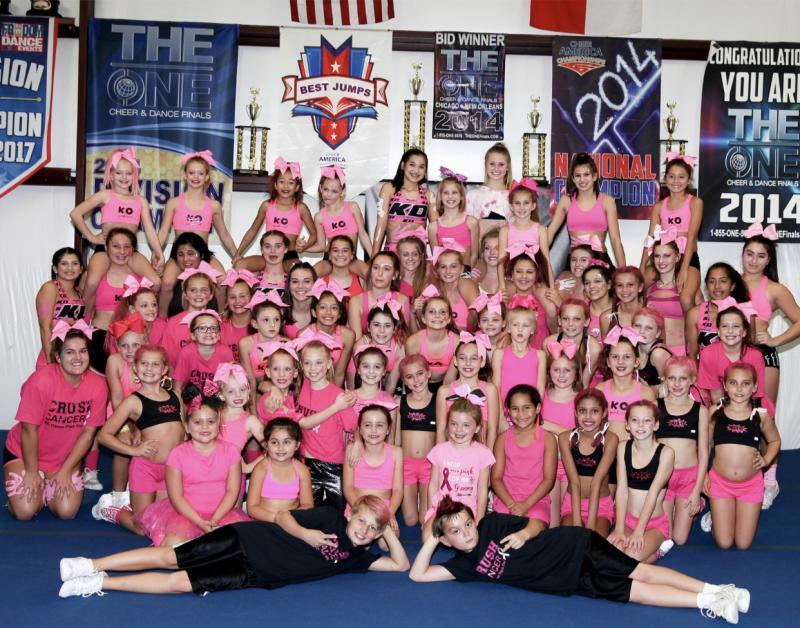 We are the only competitive cheerleading program in the Texas Hill Country serving Boerne, Comfort, Bulverde, Blanco, Leon Springs, Kerrville and the surrounding areas. No matter your age or skill level we have the experience to train you to get to the next level. KO Cheer is not just a Cheer Program, it's FAMILY! Focus is on TUMBLING, STUNTS, & JUMPS!! Sunday, June 2nd: SAVE THE DATE!! For more information call 830-446-6126. Our goal at KO Cheer is to promote the integritity, success, and well being in all of our athletes while maintaining a positive Christian enviroment. We hold our athletes to the highest standard and promise to train them to reach their personal goals.